As your toddler gets older, the time will come when you need to take them out of their infant car seat and move them into a booster seat. Trouble is, the car was not designed with booster seats in mind, and on cornering and braking, seat belts tend to work loose, allowing the booster seat to tip and rock. RoSPA, the UK charity dedicated to accident prevention in the UK, states that seat belts should be ‘as tight as possible without any slack’. In practice this is seldom the case. Even with newer vehicles, how many parents actually use the ISO-FIX locks properly? Many parents will have experienced the difficulties of driving with a fidgeting child sat behind them in a booster seat. The worry of whether they are strapped in securely can lead to the concerned parent taking their eyes off the road, which is a danger to not only those inside the car but fellow road users and pedestrians. With the first batch of SHOFTs selling out in a week, SHOFT is now available via crowdfunding to help ramp up production to meet demand, SHOFT Crowdfunder. This provides concerned parents and all drivers across the country with the chance to make a pledge of 25 GBP and in return, they will receive one of the very first production packs of which will include 2 SHOFTs. A portion of each pledge made will go towards supporting the UK charity Back Care and the UK children’s charity WilliamsFund. A recent study looked at the percentage of drivers who engaged in potentially distracting activities during three hours of driving, and the duration of these activities when their vehicles were moving. The study of 241 drivers over the course of 12 –13 months found nearly 13% of the participants suffered from ‘child distraction.’ It also found that nearly 80% of the crashes and 65% of near crashes had one form of inattention or distraction as a contributing factor. SHOFT works by reducing the slack that creeps into the seat belt and so helps to keep the child more secure in the booster seat, allowing the driver to keep their eyes on the road with less distraction. A loose lap belt can lead to the child in the booster seat tipping and rocking and having to use their hands to stabilise themselves instead of being settled reading or playing computer games. The innovative design invented by Dr Graham Cox and his father Ronald is made from a specially designed soft material that fits over the top of your vehicle seat belt tongue and takes 2 seconds to install. 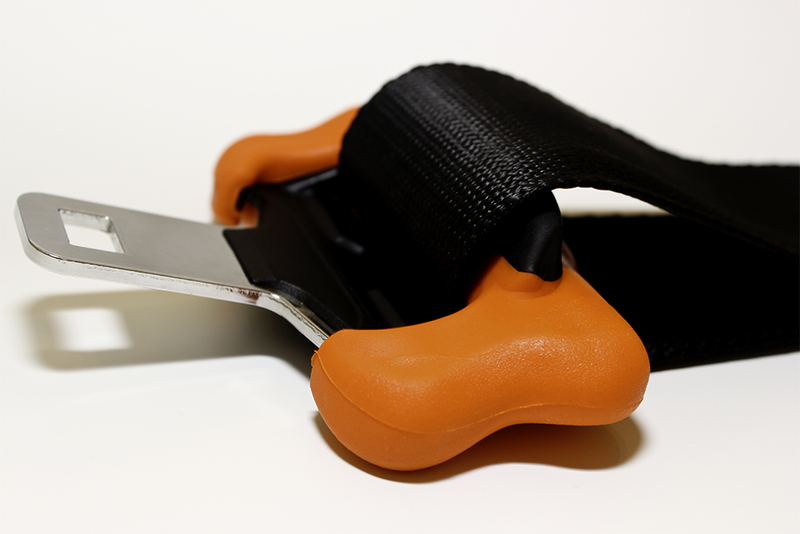 SHOFT has a built in ‘brake pad’ made of GRIPteneTM, that engages the seat belt when you buckle up and this helps to keep the lap belt in the position it was crash tested and designed to be in; across the pelvis with no slack. By helping to keep tension across the lap belt SHOFT also helps adult drivers and passengers to sit as RoSPA recommend; upright with no slack in the lap belt. This has the extra benefit of reducing and even preventing back pain, a common problem in cars and something that effects 4 out of 5 adults in the UK. 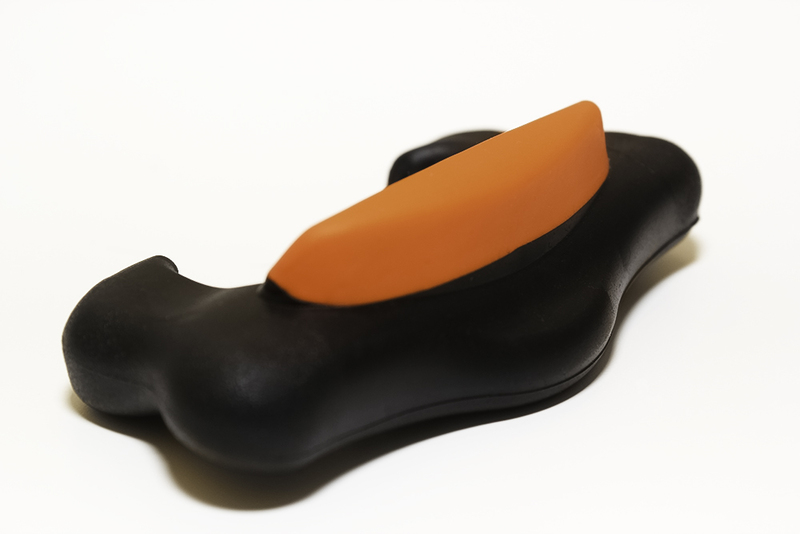 This makes SHOFT an ideal device for both parents and children. To sign up please visit the SHOFT website to get your SHOFT pack at a much reduced price and before they are available in the high street. The offer is only open until 14th September 2014. This press release was distributed by ResponseSource Press Release Wire on behalf of Three Halves Communications in the following categories: Men's Interest, Health, Leisure & Hobbies, Home & Garden, Women's Interest & Beauty, Consumer Technology, Motoring, Medical & Pharmaceutical, Public Sector, Third Sector & Legal, Transport & Logistics, for more information visit https://pressreleasewire.responsesource.com/about. We are an independent creative communications agency based in London. Our ethos is simple, create with freedom and execute with structure. We’re here to show you what your campaign should be.